The collection is the foundation of a museum, which itself is shaped by contingent political and cultural conditions. 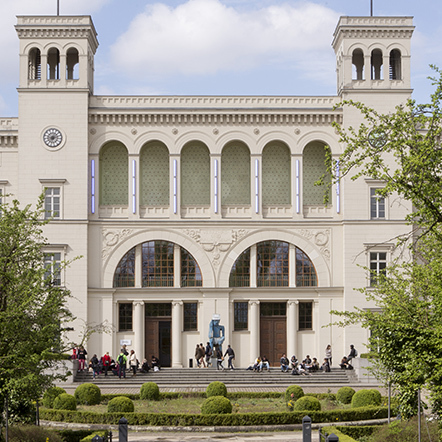 As an institution, the Nationalgalerie of the Staatliche Museen zu Berlin today encompasses five museums: Alte Nationalgalerie, Neue Nationalgalerie, Museum Berggruen, Sammlung Scharf-Gerstenberg and Hamburger Bahnhof – Museum für Gegenwart – Berlin. Founded in 1861, its extensive holdings date from the late eighteenth century to the present and reflect the ups and downs over this period. The collection had many of its artworks classified as “degenerate” by the Nazis, a verdict which inevitably led to their removal or destruction. Germany’s division after World War II also left its traces: while the Nationalgalerie in the west of Berlin shifted its attention to Western European and North American art, the Nationalgalerie in the eastern part of the city concentrated on German art. The exhibition “Hello World” aims to reflect the character of the collection, marked by these complexities and multiple ruptures. Instead of constructing a linear development of history of twentieth- and twenty-first-century art, works of the collection provide points of departure for thirteen narratives, which range from the retracing of vestiges of history to the associative intertwinement of thought lines and pictorial worlds. The exhibition focuses on moments of transcultural exchange, artistic collaboration and border-crossings that become apparent through figures such as Marta Minujin, Tomoyoshi Murayama, Wolfgang Paalen, Walter Spies, Rabindranath Tagore or Heinrich Vogeler. It offers insight into the processes of appropriation and transformation which inform ideas, attitudes and objects. It alludes to both historical museum concepts and current, future-oriented museum models. It presents alternative and hybrid forms of artistic production, scrutinises the blind spots in traditional historiography as well as the consequences of colonialism and underscores the relationships which are capable of accelerating the deconstruction of the Western canon. And it asks the question: How can the Nationalgalerie further develop the pluri-vocal curatorial concepts introduced in the exhibition in order to do justice to worldwide artistic exchange? More than 200 works from the holdings of the Nationalgalerie are supplemented with c. 150 works on loan from other collections of the Staatliche Museen zu Berlin and the Stiftung Preussischer Kulturbesitz, including the Ethnologisches Museum, Kunstbibliothek, Kupferstichkabinett, Museum für Asiatische Kunst, Zentralarchiv, the Ibero-Amerikanisches Institut and the Staatsbibliothek zu Berlin. In addition, 400 artworks, magazines and documents are presented in the exhibition from other national and international collections. All in all, the show features works by more than 250 artists. The exhibition was developed by Udo Kittelmann with Sven Beckstette, Daniela Bystron, Jenny Dirksen, Anna-Catharina Gebbers, Gabriele Knapstein, Melanie Roumiguière and Nina Schallenberg for the Nationalgalerie – Staatliche Museen zu Berlin, with contributions from guest curators Zdenka Badovinac, Eugen Blume, Clémentine Deliss, Natasha Ginwala and Azu Nwagbogu. “Hello World” comprises an extensive public programme with performances, workshops, discussions, concerts, artist talks and tours. An Unfinished Glossary structures the events according to 11 concepts that offer alternative ways of accessing the exhibition. In summer 2018, Nationalgalerie and Hirmer Verlag are publishing an exhibition catalogue in English and German language versions. 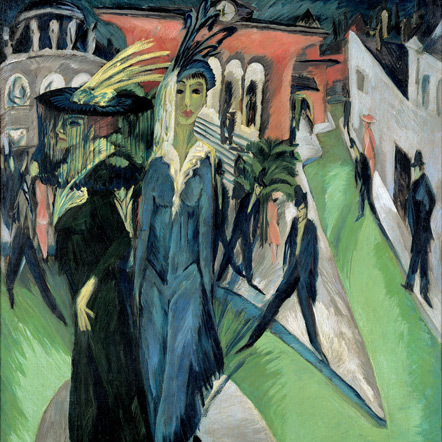 A temporary exhibition by the Nationalgalerie – Staatliche Museen zu Berlin, funded by the German Federal Cultural Foundation as part of its Global Museum initiative. For more impressions of the exhibition, simply search for the hashtag #HelloWorldHBF on popular social media channels such as Facebook and Instagram.